Well TheUnfathomableTruth tried to steal my thunder (even though he gave me the idea in the first place) but I won't be having any of that! 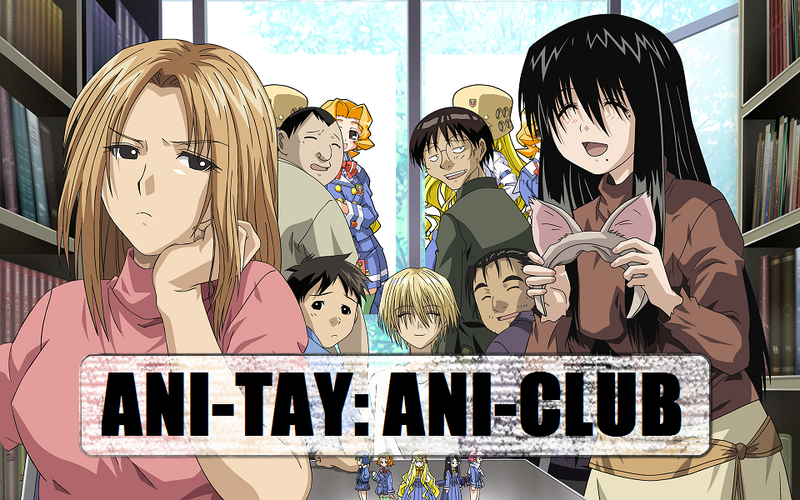 The first rule of Ani-Club is to TALK ABOUT ANI-CLUB. After all, it's all about discussion! We'll pick a series, watch a few episodes a week and have a discussion about those few episodes. You'll have to provide your own tea and biscuits. I've put together a shortlist of series to choose from initially, but please nominate your own as well. It can be something you've watched before and want to watch again, a brand new series, or something that's been on your radar for a while. Plot Summary: Yōto Yokodera is a perverted schoolboy who is unable to express his true feelings freely. After hearing about the wish-granting Stony Cat, he decides to try and make an offering to lose his facade, only to meet Tsukiko who wishes instead to be more discreet with her feelings to become more adultlike. Who'd have thought the rumors of the wish-granting Stony Cat turns out to be true; transferring the facade that Yōto wishes to lose into a classmate who needs it more and making it difficult for Tsukiko to show even the slightest of emotions on her face. Being on the same boat, they both search for ways to remedy the situation. With the numbers indicating your first, second, and third choices respectively. Nominate whatever other series you'd like to see as well. Voting will close on Wednesday, and the weekly posts will be then as well (unless anyone feels another day will work better). Format wise I'm thinking 2 episodes a week (maybe 3 for fifty episode and above series), each post will focus on discussion of those two episodes and the series so far. Please chime in with any other suggestions you might have.